Although it is tucked in a really small corner of the city, the postal stamp museum should definitely be visited by people who love to collect stamps. The museum opened in the year 1930 but overtime gained popularity amongst the realm of stamp collectors for the wide variety that it owns. The Postal stamp museum boasts of about 13 million stamps which is quite a big surprise considering the popularity and size of the museum. All in all, it is one of the largest collections of stamps in the world and is a nice place to visit. For other details check official website. How popular is Postal Stamp Museum? People normally club together Sandor Petofi Statue and Miklos Ybl Square while planning their visit to Postal Stamp Museum. Magyar Posta holds an enormous collection of early stamps issues from countries all over the world. There is a small chamber showing Hungarian stamps with special printing techniques under magnifiers and UV light. They provide laminated info sheet in various languages that are very helpful. Some postal-related interesting exhibits in the center of the room. This is only a museum for the stamps. 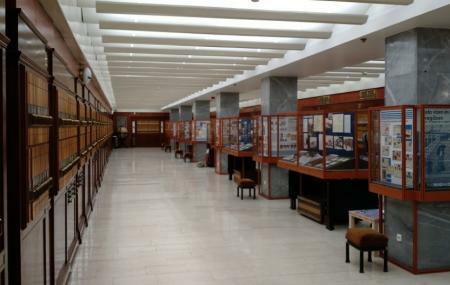 Postal services and history exhibits are in the Postal Museum. I'm a philstelist and have visited stamp museums in many cities.This is the best so far. The central display is on space exploration, and you are given an information sheet on where to find the rarest stamps in the extensive walls of sliding panels. A secret dark room explains details of stamp production with a magnifier. There is also a 20 frame exhibit on the earliest Hungarian stamps. Worth a visit. An interesting experience. Literally tens of thousands of stamps from all over the world and different periods of time. However, most details are in Hungarian language and you have to figure out for yourself details. If you want to see all of it you will need days.